In just a little over a month, Avondale, Arizona’s ISM Raceway will open for the Can-Am 500 race weekend Nov. 9 to 11. The remodeling of the track continues, and includes amenities such as new food and beverage vendors to help enhance the fan experience. The NASCAR season is winding down and the chase for a spot in the semi-final race in Arizona is on. Greg Fresquez, manager of communications, went into specific detail when explaining the newly improved raceway and how so many individuals including the fans, drivers and people in the industry could possibly be given the “wow effect” because of how much it has changed. Aside from the actual transformation of the track and the way fans will be viewing the drivers, they will get to experience a more personal and advanced version of the way they can engage with the race. ISM Connect, a company that specializes in smart venue technology, is giving fans a digital fan engagement experience. That helped the company secure naming rights for the $178 million renovation project and the track. “I think it will be overwhelming. So much of it is interactive video screens. You see them in so many different places you go to like malls, airports and different sports venues, but we’ll be using them in a larger capacity as we go down the road with our partner as well as our naming partner of the track: ISM Connect,” Fresquez said. Along with big changes coming from the overall transformation of the project, food and beverage will play a big part in the heightened fan experience. 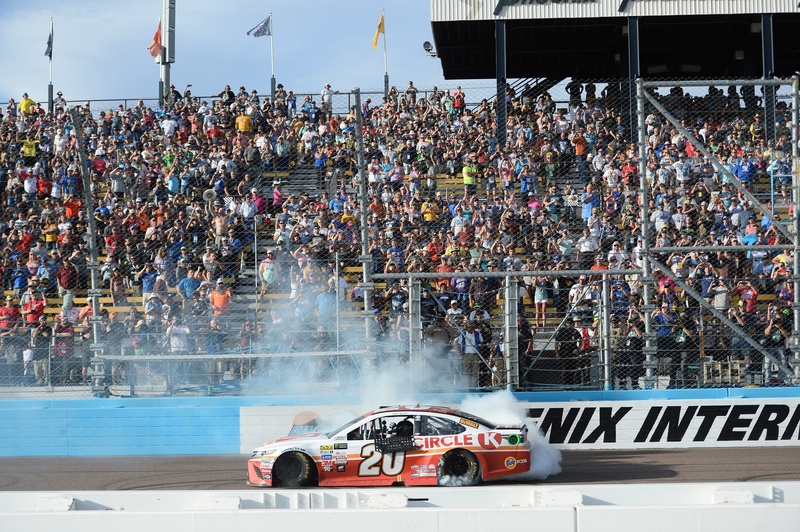 ISM Raceway has partnered with companies like Levy, which runs food service at many top stadiums around the country, and Twisted Tea for the Tailgate Deck, Dos Equis at Turn Four, the Tecate Pit Stop, Coop 623, Big Cheesie’s, The Loyal Slice, Sweet + Salty, fEast and so many other vendors present for the new offerings that opening week in November. “We are really excited about it. We did a food tasting a week and a half ago. Levy is our partner and does the majority of our food and beverage outside of it, but we’ve done some other agreements with Modern Margarita and they’ve got a brand-new taco they’re doing. We’ve got a Miller Lite beer garden and some other brand and beverage areas, Dos Equis and Tecate,” said Fresquez. Chef Bobby Henningsen, who works with Levy and has gone through the process of deciding which vendors would be best in the new raceway, shared his thoughts on how well he believes the fans will react to the new vendors that are going to be there. “I think the reaction is going to be really good because we picked all different genres of food. I mean we have Asian noodles going in, pizza, and all kinds of stuff to try and hit every spot. So, all in all I think that everyone will be very happy because we have so many different options,” Henningsen said.